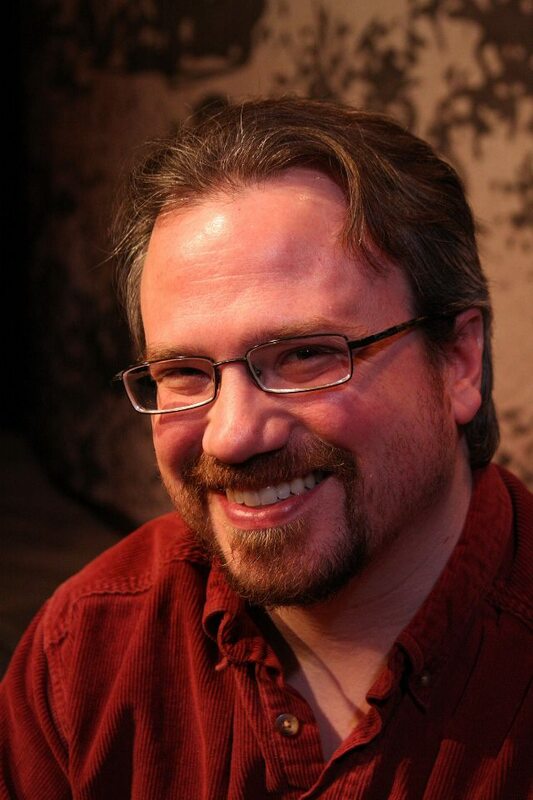 Joseph Zettelmaier is a Michigan-based playwright and four-time nominee for the Steinberg/American Theatre Critics Association Award for best new play, first in 2006 for All Childish Things, then in 2007 for Language Lessons, in 2010 for It Came From Mars and in 2012 for Dead Man’s Shoes. Other plays include The Decade Dance, Ebenezer, Northern Aggression, Dr. Seward’s Dracula, The Gravedigger, The Stillness Between Breaths, The Scullery Maid, and Salvage. The Stillness Between Breaths and It Came From Mars were selected to appear in the National New Play Network’s Festival of New Plays. It Came From Mars was a recipient of 2009’s Edgerton Foundation New American Play Award. Dead Man’s Shoes received the same award in 2011. Joseph is an an adjunct lecturer at Eastern Michigan University, where he teaches Dramatic Composition, Stage Management, Stage Combat, and Play Production. He also teaches theatre courses at Schoolcraft College. He was profiled in the March 2012 issue of American Theatre Magazine, and can be reached at his website jzettelmaier.com.